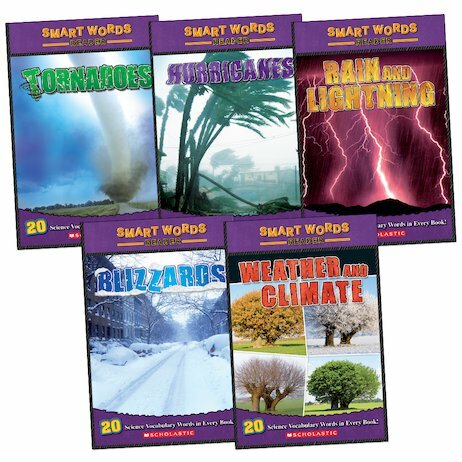 Smart words and super storms. Learn to describe the wildest weather on the planet. These colourful books are bursting with eye-popping thrills. Plus words you can use to talk about them. Blizzards. Tornadoes. Lightning strikes. Hurricanes. Find out how they start, and what damage they can do. Amazing colour photos get you right to the centre of each storm. Learn the words, devour the facts and try not to get swept away.